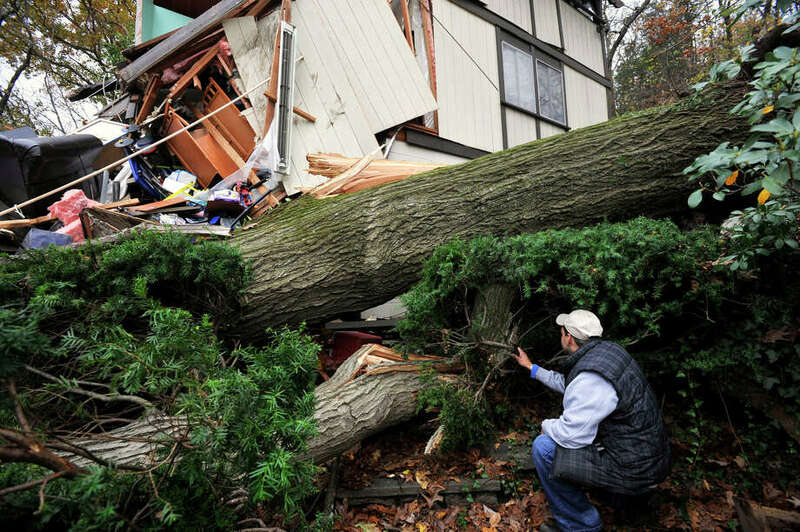 Reynaldo Lopez surveys the damage to his family's home in Danbury on Wednesday, Oct. 31, 2012. The house sustained the damage due to a large tree falling on it Monday evening because of storm Sandy. Fifteen-year-old Sophia Chiravelli, a sophomore at Immaculate High School in Danbury, is the kind of teenager who is always looking for ways to help out. Sophia and her father, James, a diesel technician, were on their way home in Newtown when they spotted a man struggling with a tree that had fallen across his driveway. Sophia, a member of her local church's "Do Gooders" club, asked her father to go home and get his tools so he could double back and help the man remove the tree. Chiravelli did just that. He returned with a flatbed truck and a chain saw and asked if he could help. The homeowners, whom he didn't know, thought he would want a fee, or at least the wood. He wanted neither. "There are a lot of nice people out there doing things because it's the right thing to do," Sybil Blau, the homeowner said. "Just a lot of kind-hearted, generous people, and they deserve praise."